"Just wanted you to know how pleased I was to receive this product today. I placed my order two days ago, fully expecting to wait days and maybe even weeks for the delivery. I could not believe that it arrived today! Thank you so much for the quality of the product,, the price, and fast delivery!! You can be sure I will spread the word... Have a happy and safe 4th...I know I will, now that I have my new wheelchair!!!! Thank you, thank you, thank you!" Looking for a wheelchair? You've come to the right place. SpinLife.com is the country's largest online retailer of manual wheelchairs. We offer all the top brands and models at the best prices you will find anywhere, guaranteed. 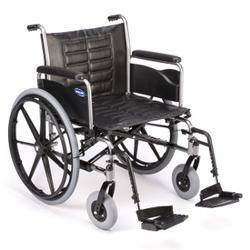 You'll find wheelchairs from top-rated brands like Drive, Invacare, Quickie, TiLite, and more. From transport chairs to Top End handcycles, you won't find a better selection anywhere. And with our expert staff, safe online checkout and great return policy you can feel confident buying your wheelchair from SpinLife. Transport chairs feature four small wheels and a lightweight frame, making them perfect for transporting the user to and from the post office, mall or restaurant. Compared to standard manual wheelchairs, transport chairs come with a narrower frame, allowing them to be easily maneuvered in areas with less space. We feature a wide selection of transport chairs, including standard transport chairs, lightweight transport chairs, heavy duty/high weight capacity transport chairs, and transport chairs that feature removable armrests. A lighter option than standard wheelchairs, lightweight chairs are perfect for those who plan on using their chairs more frequently. We feature “quick-ship” models that take just a couple of days until they are on their way, as well as “custom” models, which take more time to ship. This option allows for customization to meet a variety of mobility needs for each user individually. For those who need a higher weight capacity in their manual wheelchair, a heavy duty/high weight capacity wheelchair is your best option. Spinlife has a wide selection of heavy duty wheelchairs that feature weight carrying capabilities of up to 1000 pounds, with seats as wide as 30 inches. Many models have reinforced frames and a variety of seat widths, armrests casters and upholstery to meet many of your needs. These chairs are great for advanced, full-time users and weigh as low as 9.3 pounds. 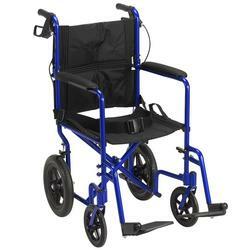 Ultralightweight wheelchairs come in either rigid or folding frames, for added ease in transporting your chair. These chairs come in three main types: rigid ultralightweight wheelchairs, folding ultralightweight wheelchairs and titanium ultralightweight wheelchairs. Spinlife also features a selection of ultralightweight sports chairs for highly active users. Whether you need a reclining back or elevated seat rests to help relieve pressure or promote healing, Spinlife has the chair for you. Our selection of recliner wheelchairs have a variety of features, including infinite-position reclining, elevated leg rests, removable armrests and seat adjustments to allow for self-propulsion. 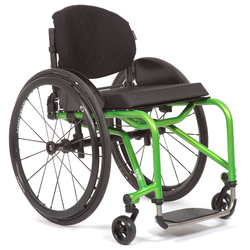 Many of the models we carry also feature extended back rests and head support for added functionality and comfort. 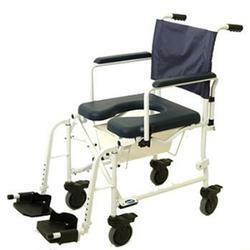 Spinlife features a large selection of rehab shower commode chairs to meet virtually any need. These chairs are good for users who cannot stand in the shower, as well as those with toileting needs. Many of our rehab shower commode chairs feature rust-resistant frames, padded arms, removable arms and frames with the ability to roll over and use an existing toilet. We feature models that have larger rear wheels for self-propulsion, as well as chairs with four small wheels, requiring caregiver assistance. Stay mobile and independent while soaking up the sun at the pool or enjoying the warm breeze at the beach with Spinlife’s selection of pool and beach chairs. We feature a wide variety of wheelchairs designed to keep you poolside without damaging the integrity of the chair. With many models featuring a PVC or stainless steel frame and mildew-resistant upholstery, know that your chair will last many trips to your favorite pool or beach. Keep making game-winning plays and racing to the finish with Spinlife’s wide selection of sport wheelchairs. From handcycles to highly maneuverable court chairs, we have what you need to stay active and play hard. You’ll be able to stay mobile and independent with the many sport and recreational options we offer. Spinlife offers a variety of pediatric wheelchairs and strollers for a wide range of users. 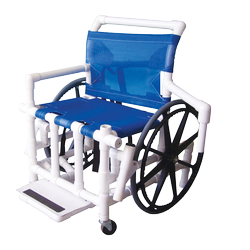 We feature tilt wheelchairs, which reduce pressure, help aid in digestion and provide added support, as well as lightweight and folding frames. With built-in straps, a variety of color choices and frame options, your pediatric wheelchair can be customized to fit your needs. Geri chairs, also known as geriatric recliners, offer the comfort and support of a regular lounge chair with the added benefits of reclining positions. Each Geri chair comes with a large tray to allow for convenience when reading the paper, working on a laptop or tablet and dining purposes. Geri chairs come standard with wheels that allow the chair to be transported around, allowing for comfort throughout the home. 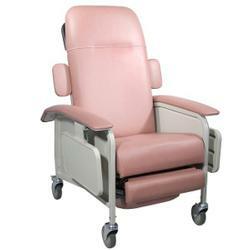 The chair’s padded armrests, mobility and multiple reclining positions make it a comfortable and supportive experience. Accessorizing your manual wheelchair is a breeze at Spinlife. We offer a wide selection of accessories to meet just about any need. Whether you need new wheels, caster forks, handrims or wheelchair gloves, we’ve got you covered. We carry supports, packs, pouches and holders, as well as lap trays and tools to help with user transfer. No matter the need, we’ve got you covered. Looking for a wheelchair for quick trips to the store or to get you out on the court? You've come to the right place. SpinLife.com is the #1 provider of mobility products on the internet and has the selection and expertise to help get you the right wheelchair for your needs. There are a lot of choices out there, but our Product Experts are here to help make sure you get a wheelchair that fits your needs and your budget. Learn more about wheelchairs at SpinLife University or the following brief descriptions to help you pick the best wheelchair for you. With four small wheels and lightweight frames, transport chairs are the perfect choice for moving someone to and from the house or around the mall. Transport wheelchairs are narrow, making ithem a good choice for tight hallways and narrow doorways around the house. These chairs are meant to be pushed by someone else, so the person in the wheelchair will not be able to self-propel. With weights starting at 35 pounds, basic wheelchairs are a reasonable choice when you need a wheelchair that will be used for less than 4 hours per day and when the user needs to self-propel, but you won’t be moving the wheelchair from place to place much Our selection ranges from the most basic models with fixed legrests and armrests to models that have elevating legrests and removable armrests. There are also models with a "hemi" height option, which allows the user to lower the set-to-floor height and remove the legrests so they can use their feet to help propel the chair. All of these chairs fold for transport and storage, but keep in mind that they can be on the heavy side, so we recommend considering a lightweight chair if you intent to take the chair with you in the car. Many people also find a cushion helpful for additional comfort. These chairs weigh between 28-34 pounds, and are a great choice when you need a chair that will be used more frequently and that is easy to move from place to place. Lightweight wheelchairs also offer more customizable options than basic wheelchairs. Custom options include adjustable angle backs, more frame and upholstery colors, pneumatic (air-filled) tires, easy to remove wheels, a wide range of seating sizes and heights, and multiple legrest and armrest choices. These are our most popular chairs, and the category we most highly recommend. We feel so strongly that most people will be happiest with a lightweight wheelchair that we are the only retailer that allows you to return a lightweight chair. Order with no risk! And don’t work about timing since many of the chairs are offered in Quick Ship configurations and can be on their way to you the same day you order. Ultralightweight chairs weigh as little as 14 pounds and are available in both rigid and folding models. An ultralightweight chair is ideal for advanced users who spend the majority of their day in their chair and users who demand superior performance. These chairs are highly customizable and made to fit you like a glove. Our Product Experts can help you to select and configure the perfect ultralightweight wheelchair to fit your lifestyle and preferences perfectly. Take these chairs to the court or the mountains - sport wheelchairs come in models for nearly every kind of recreational sport out there. With wheelchairs for everything from tennis and basketball to handcycles, we can get you the right equipment for whatever pastime you choose. A reclining wheelchair is ideal for users with limited mobility who spend the majority of their day in a wheelchair as it offers more flexibility for positioning the upper body. 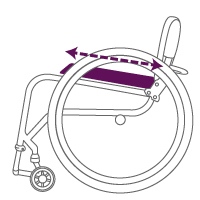 A tilt wheelchair offers alternative positioning and pressure relief for those who are unable to re-position themselves. 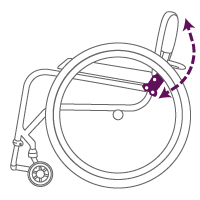 Both of these options add weight to the wheelchair, so keep this in mind if easy transport is a concern. 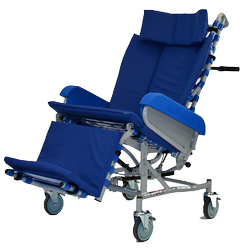 Heavy Duty chairs can be transport wheelchairs, basic wheelchairs, or highly configurable models. The weight capacity for a heavy duty wheelchair will range from 300 pounds to 850 pounds. Our transport models will feature removable armrests and Legrests. Standard models will typically have seat will have seat widths ranging from 18" to 24". 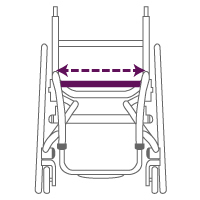 Seat heights that can be adjusted to 19.5" or 17.5" for those who propel with their feet. Higher weight capacity models will seat width options up to 30" and will have options as varied as our most complex ultra lightweights. Once you’ve found the chair that’s right for you go to the section called “Customize and Buy”. Select any configuration choices and choose your Accessories. Then click “Add To Cart”. From there you can either proceed to checkout or add additional items to your cart. If you need help our Product Experts are here to help at 1-800-850-0335. Yes, standard ground shipping is FREE. All orders over $50 always ship for free everyday at SpinLife. Do you sell used wheelchairs or rent wheelchairs? We do not sell or rent used wheelchairs for sanitary reasons. 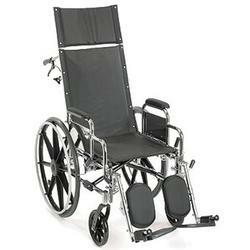 To ensure you receive the best quality chairs we only sell new wheelchairs. We do, however, have some new, open-box wheelchairs for sale. We do not offer wheelchairs for rental. How are the wheelchairs you sell different from those I might find on other sites? 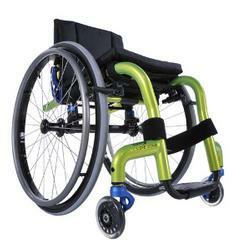 SpinLife only carries high quality wheelchairs from the best manufacturers. There are probably 250 or more basic chairs available in the US, and it would be an exhausting process for you to sort through them and pick the right one for your needs, so we do the work for you! Our merchandising team, with years of industry experience, picks the best quality, selection and value of chairs and then makes it easy to find the right chair to meet your needs. Many sites just throw everything on their website….the choice is overwhelming, confusing, and frankly ridiculous. 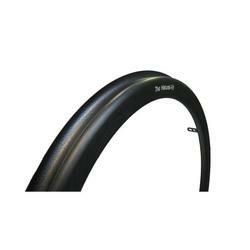 At SpinLife, you can buy with complete confidence that if we carry it, we think it is high quality AND great value. So while you might find a cheap wheelchair at another site it may not be the best choice for your needs. If you need assistance choosing a wheelchair feel free to call our Product Experts. Do you sell wheelchair ramps? Yes, we offer a great variety of wheelchair ramps at varying lengths and prices. Please visit our Ramps section to see our full selection. What happens if I need repairs or parts for my equipment? SpinLife provides parts and service for all wheelchairs we sell, and many that we don't. We will be happy to help you with any problems that may come up after you receive your equipment. SpinLife honors all manufacturer warranties on the products we sell. Call us at 1-800-850-0335 for assistance. If the part is covered by warranty we will send it to you at no charge. If it is not covered by the manufacturer’s warranty we will give you a quote for the price of the replacement part. What happens if I want to return my equipment? We want you to be completely satisfied with your purchase. If your equipment arrives and it is not what you expected or needed, you can return it within 30 days as long as it is unused (tires are clean and no scratches) and in its original packaging. Unless SpinLife made an error, return freight is the customer's responsibility. The two exceptions to this are custom lightweight wheelchairs, which incur a 15% restock fee, and ultralightweight and sport wheelchairs, which are non-returnable as they are manufactured to order. For more information please see our Return Policy.